PHOENIX – The Boston Celtics have seen Deandre Ayton on tape. Now it’s time to see him on the court. Boston will face off with Ayton, the No. 1 overall pick in the 2018 Draft, for the first time tonight in Phoenix. The 7-foot-1 center has opened his career by averaging 15.9 points and 10.9 rebounds per game through his first 10 games. The level at which Ayton has played has garnered strong reviews, and that trend continued with Brad Stevens prior to tip-off. Boston’s coach was asked about what he has seen from Ayton on film, and all he did in response was rave about the rookie. A heck of a player, but also a unique player who presents a unique challenge to the C’s. Ayton is different than the two centers Boston has faced thus far on its five-game road trip, Myles Turner and Nikola Jokic. There are a number of Celtics who will learn that first-hand tonight for the very first time in the NBA. 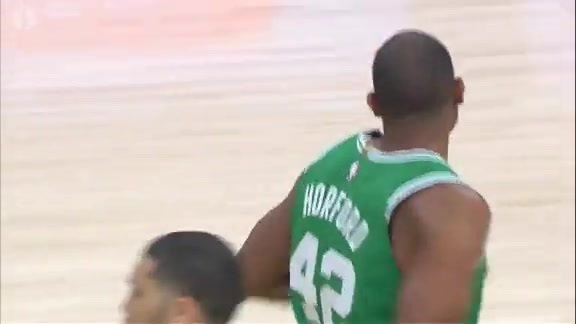 The challenge will first be presented to Al Horford, and then to the likes of Aron Baynes and potentially Robert Williams. It’s time for the C’s to see what this year’s No. 1 overall pick truly brings to the table.